I am trying to run DFM on my design at advanced circuits and keep getting back Insufficient Inner Clearance on all the vias. The require clearances of 10mil which I use for my ground pours and routing. 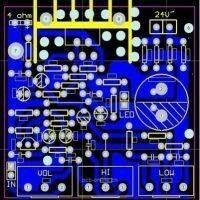 Now is there a way to create a negative inner gerber with KiCad?